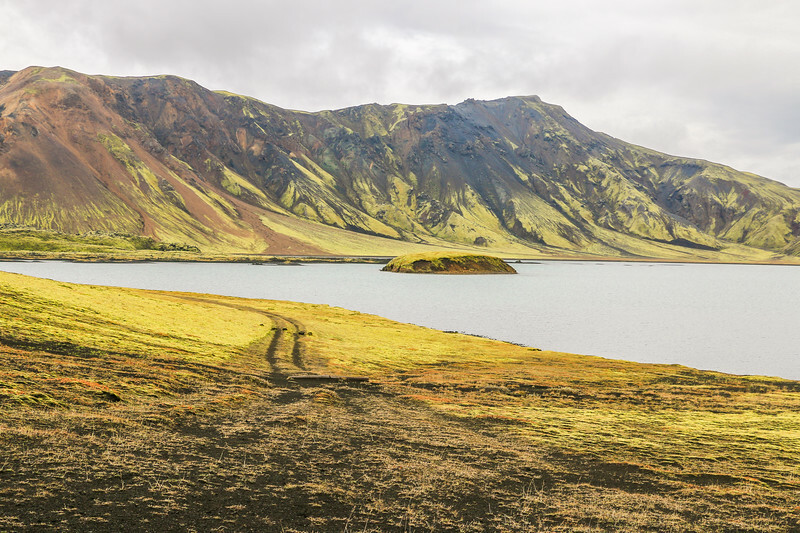 During our trip to Iceland, we wanted to experience what the most remote side of the country had to offer and Landmannalaugar was our top pick. 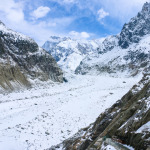 The Highlands, as this area is known, contain the harshest and least accessible terrain in the whole country, including deserts, peaks, valleys, glaciers, and volcanoes. Let’s say that it isn’t exactly easy to get to or around, particularly at the very end of the season in September, when we were planning on going. 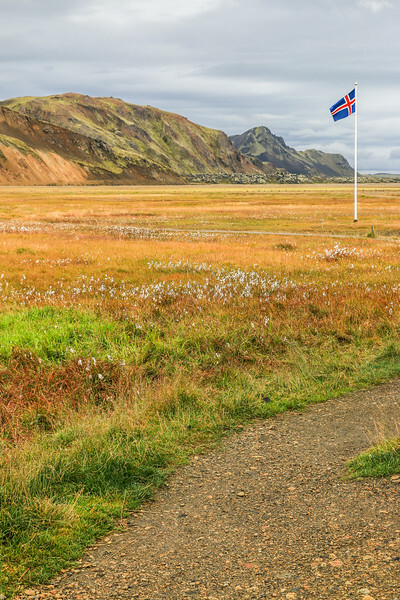 With this in mind, we opted to spend one day in Landmannalaugar, one the most popular and go-to places in the Icelandic Highlands! Secretly hoping the weather would be in our favor and roads would still be passable. 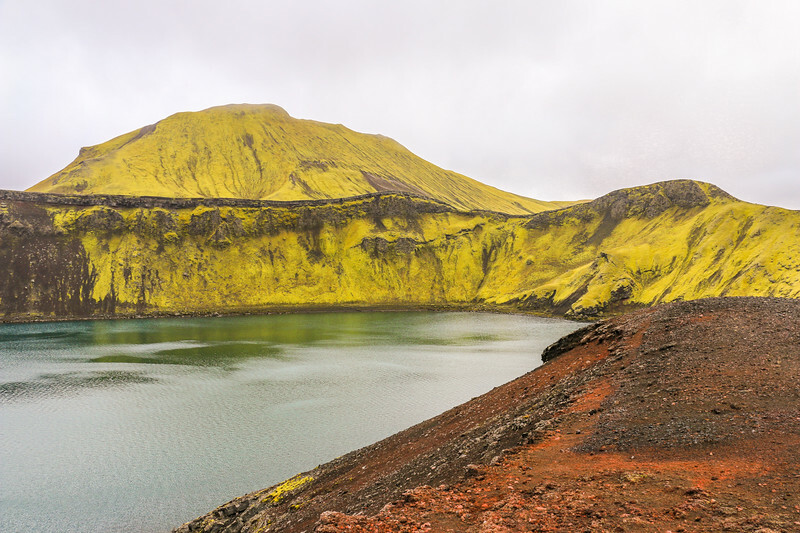 Landmannalaugar is part of the Fjallabak Nature Reserve in the south Highlands. Getting to Landmannalaugar is only possible during the summer months and we were “lucky” enough that the road was still open well into September. 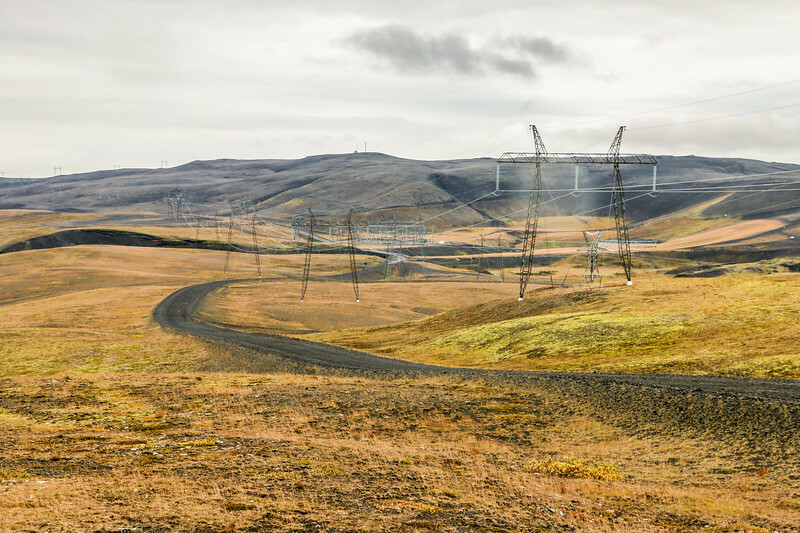 The area is best known for its spectacular surrounding landscapes, diverse hiking trails and its natural geothermal hot pool, one the most recognizable in the country. 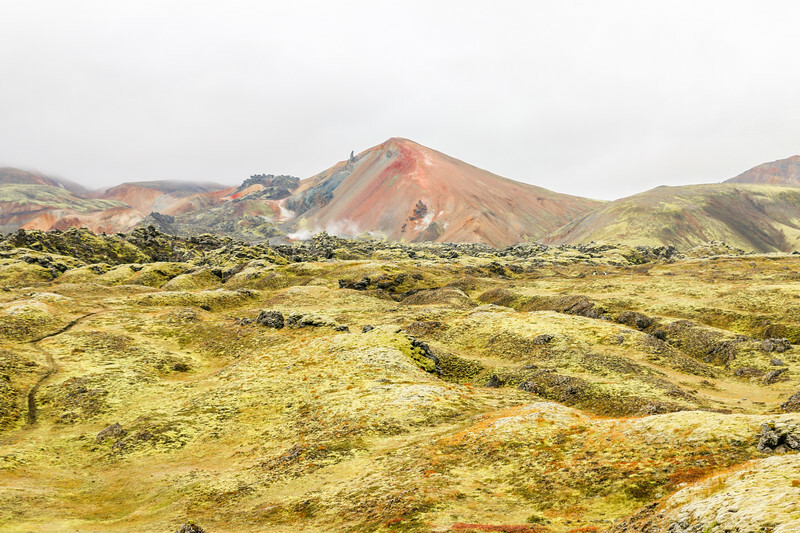 Read more to find out about our day in Landmannalaugar. 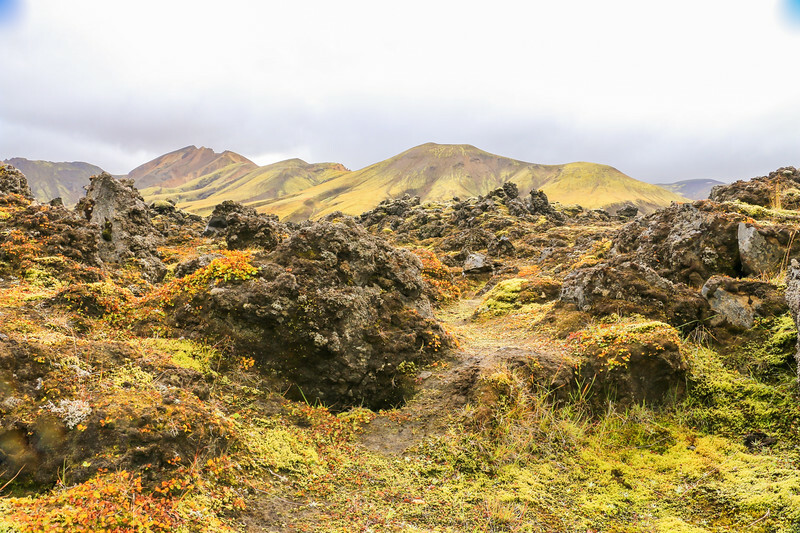 Getting to Landmannalaugar is the tricky part. The mix of unpredictable weather with highland roads comes into play and needs to be taken seriously into consideration when planning a trip to the area. In theory, during the summer months, usually from June to October, the roads should be open. Yet, this is highly variable, sometimes due to the seasons being considerably shorter, other times because of temporary road closures. 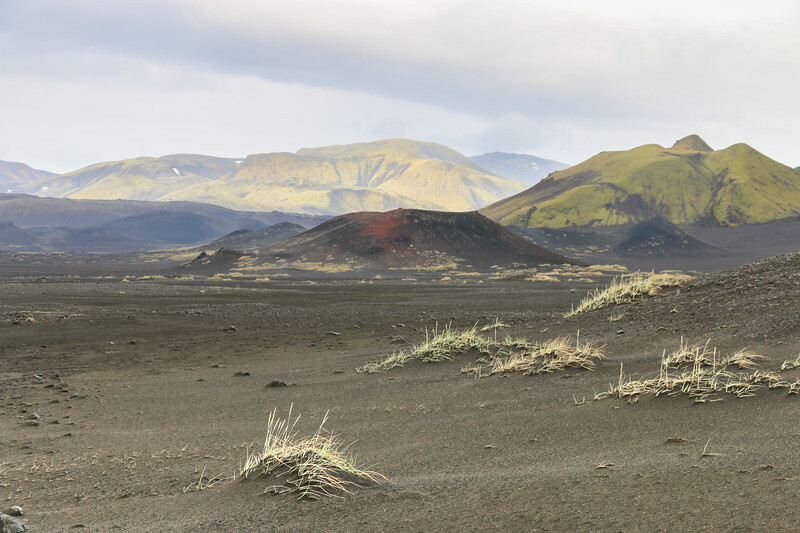 All the roads to Landmannalaugar are rough, most of them classified as F-roads and usually only suitable for 4×4 cars, sometimes with high clearance. Expect very tough driving conditions with potholes, rocks, uneven terrain and even rivers to ford. We chose the road 208 from the north, the one that is considered the easiest, plus without rivers. Our 4×4 did just fine on this one, not an F road but definitely not suitable for a regular car. The other alternatives are F225 from the west and F208 from the south. These two are more complicated. We stayed a couple of nights at Hotel Highland, a mere 15 minutes drive from the start of road 208, along road 26 (becomes F further ahead). The day before, the weather forecast wasn’t great: clouds and light rain. An early morning start and off we went! Fortunately for us, there was little rain yet with persistent clouds. The first portion of the road 208 is still ok until past the power stations area. Great place to stop and admire the big lake. Speaking of stopping, we did it plenty of times along the way. The scenery is amazing, a very diverse type of awe that goes through your mind and makes you wonder if you’re still on planet earth. We’re suckers for the great outdoors and this definitely made us very happy. It makes you completely forget the roughness of the road. Who said it was rough anyway? The main places along the way were the Hnausapollur and Ljótipollur craters, and Frostastaðavatn lake. Obviously, you’ll want to stop just one more time to take yet another last picture. Do it, just don’t drive off-road! The road is well signaled. Not that there are many different routes, but just to keep you on the right track, the first intersection is with road F225 and the second with F224. 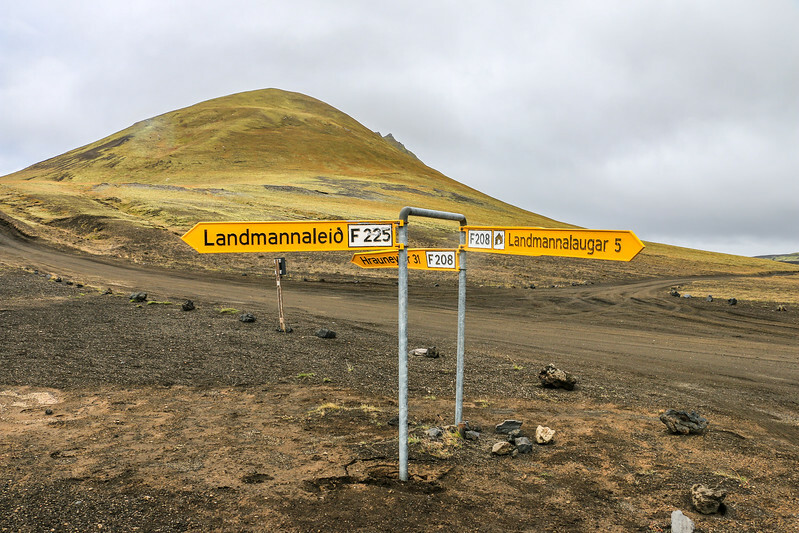 On the intersection with F224, follow this road as it leads to Landmannalaugar. Very close to the end of the road there’s a small river to cross. If in doubt, the easiest thing to do is to park before the river and cross using the small wooden bridge. From here it’s just a short walk to the hut. Hiking is the best activity to do here, with different trails for all tastes. 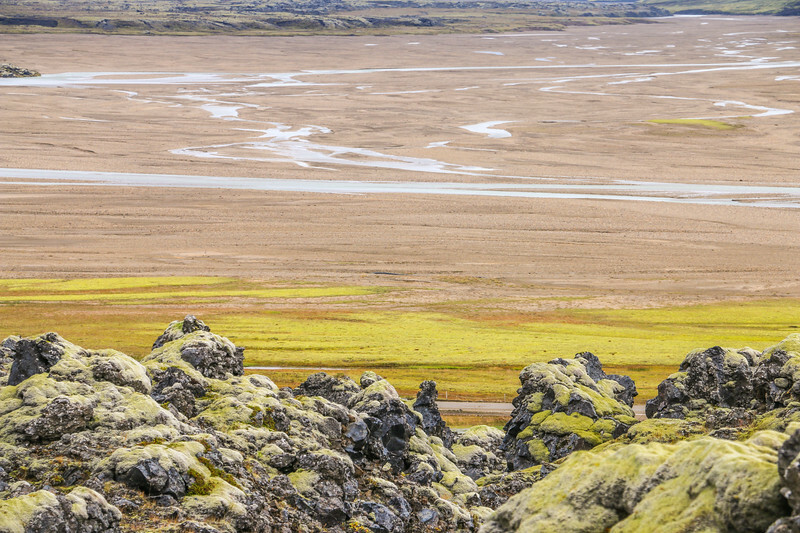 The hikes available include the popular 2-hour hike through the Laugahraun lava field to Mt. Brennisteinsalda – Sulphur Wave, and the 1-hour hike up Mt. Bláhnjúkur – Blue Peak. 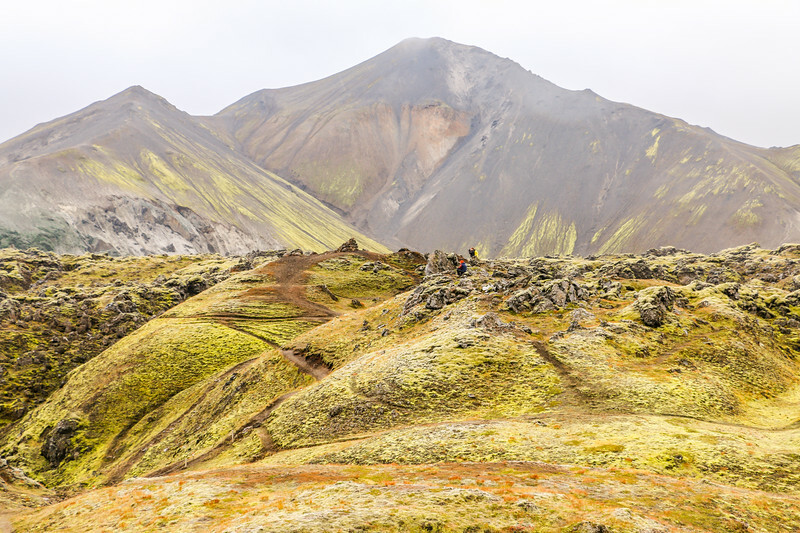 The most popular hike is the 3-4 day Laugavegur trail to Þórsmörk. Another extremely popular thing to do is the natural hot pool. Only a handful of people were using it when we passed by. 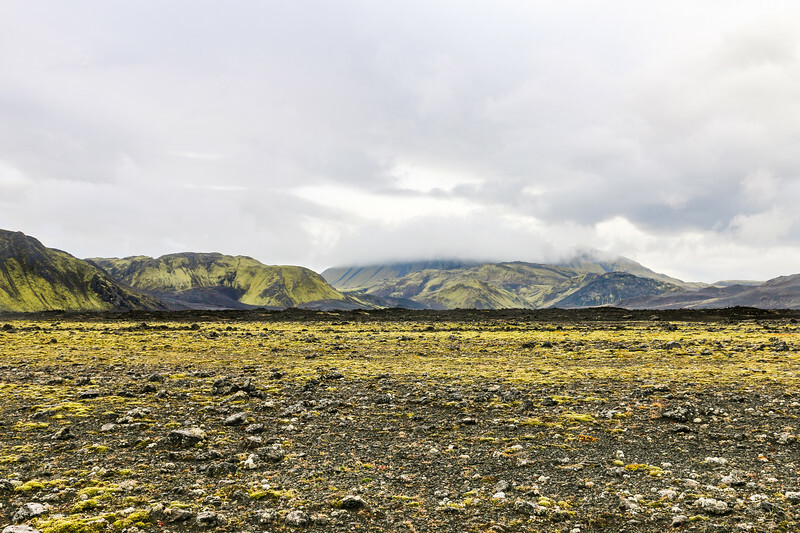 Our goal for the day was to explore a little bit and, with limited time, we opted to wander around the Laugahraun lava field. It’s just a small part of what we could have done. Still, enough to get a very good feeling of this stunning area of Iceland! Here are some of the pictures. 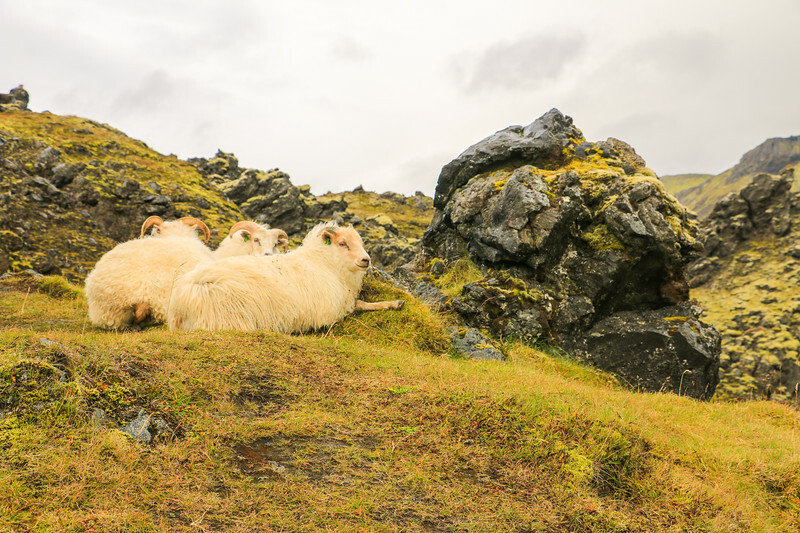 We obviously need to pay homage to a few Icelandic sheep we found roaming around the area. After a couple of hours, we slowly made our way back to the car, and even more slowly on the road back to the hotel, making a few more stops in places we had already stopped a few hours before. Had we planned better, we probably should have made other short hikes or a bigger one. On the bright side, this leaves us with a reason to go back. 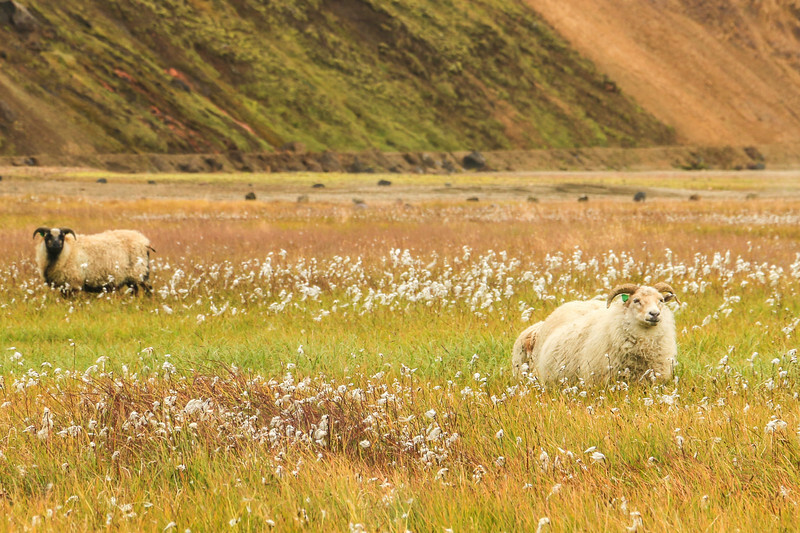 We were definitely not disappointed with our time in Landmannalaugar! The main advice is to allow enough time to slowly tackle the road. It will be slower than you think unless you’re already experienced with the terrain. We did it in around two hours, accounting for some stops. 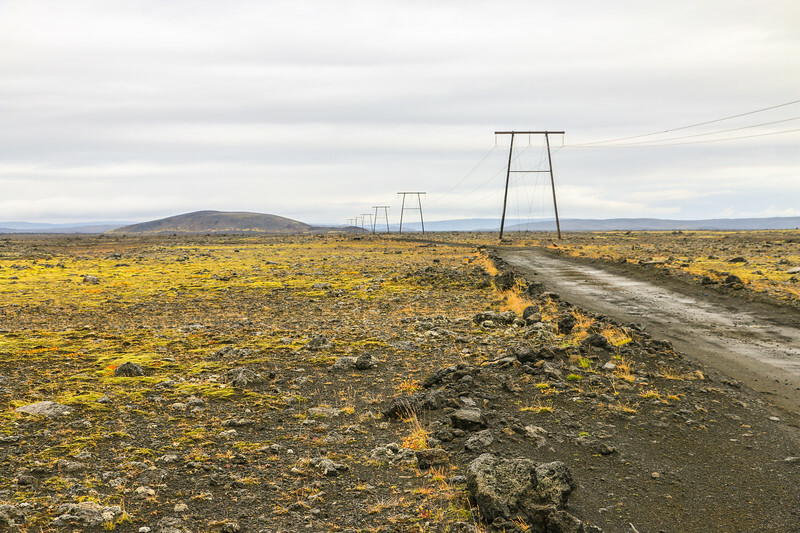 Besides the roads mentioned above – F225 and 208/F208, the main alternative during the high season is to take the bus from Reykjavík. We know people who went there for the day using the bus. 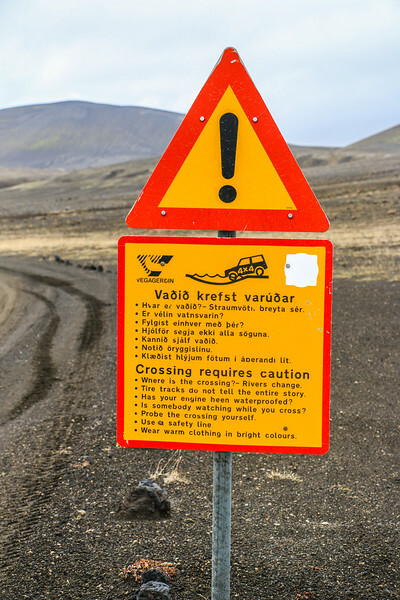 For more information on the roads and current conditions, the Icelandic Road and Coastal Administration has it all covered here. Hotel Highland is conveniently close and with acceptable quality. The restaurant is quite good! 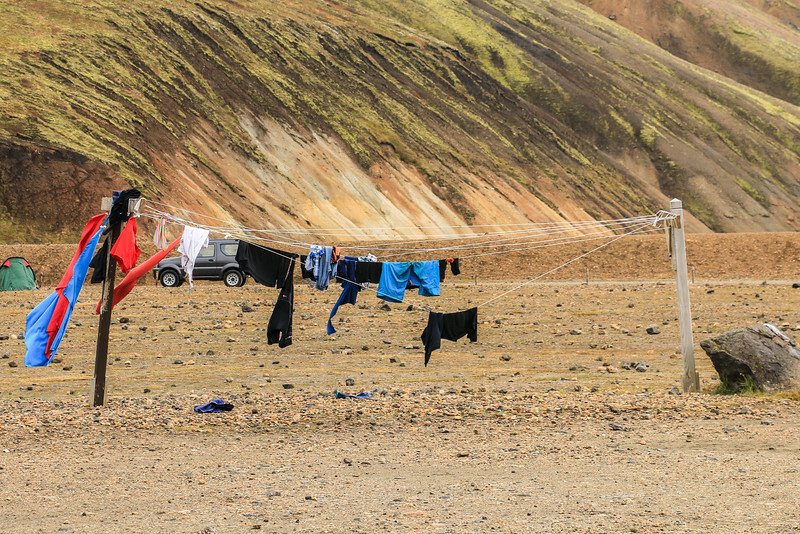 There are also campsites around the Landmannalaugar area and further into the highlands. If you’re planning to hike, come prepared with good clothing and shoes/boots. 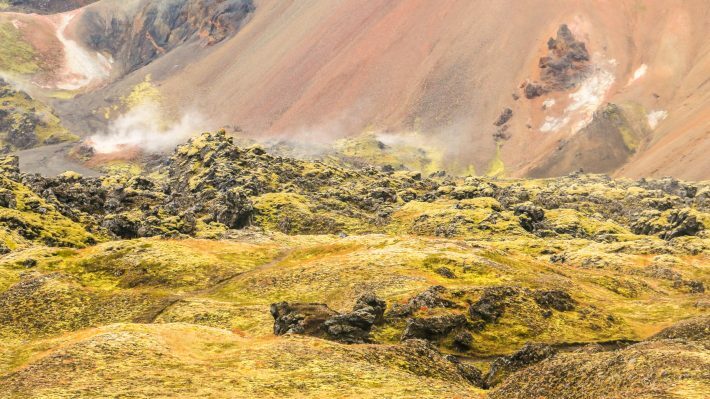 Planning to visit Landmannalaugar? Let us know! I loved Iceland when I went. Beautiful pictures. I’d never heard of this area but what an adventure. Another one for my Iceland travel list. Definitely worth visiting! If you’re into doing some hiking, there’s plenty to do and enjoy over there. Mind the “roads” and the short season it stays accessible due to the harsh weather. Beautiful pictures! This is one of my favorite spots in Iceland! Thank you! It’s also one of our favourite places in Iceland. We really want to go back to hike more around it. There’s so much to explore! Wow!! What a view!! I think we should visit this place too. We r renting a car . What do you suggest should we drive by myself or take a bus tour? You are a good photographer. I use 60d canon. Do you prefer auto mode or any specific mode? 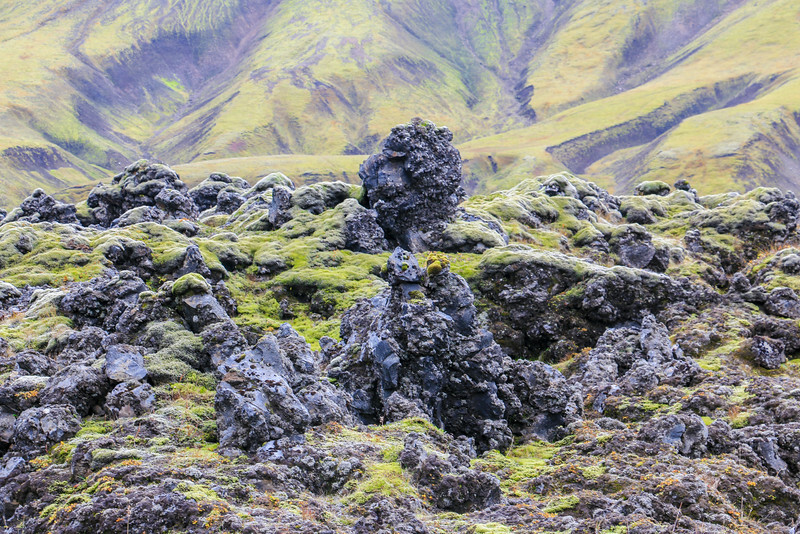 This is a highly sought after highlands place in Iceland. Quite stunning. Both options exist. You can drive there using a 4×4 (and using road 208 there are no rivers to cross) or get the Bus. This is only accessible from June September. Buses only run during that period, a few times a day. We tend to use mostly manual photography or at least aperture priority. Thank you for the wonderful trip report. I subscribed to your website recently and have been enjoying your photos and travel tips. I am going to Iceland in end of May and very interested in visiting Landmannalaugar from the north. Can you tell me how long is the drive on the F 208 from the north to the camp site? I am glad to hear that the journey there was beautiful. Our family hired a superjeep 2 years ago to visit Landmannalaugar from south via F208. I remembered the journey was very long and rough and in between there was nothing to admire. I cannot wait to visit Landmannalaugar again from the north if the journey is beautiful and not too long. Thanks in advance for your comments. The journey is beautiful for sure! It takes an hour to an hour and a half (to be on the safe side), starting from where road 32 meets road 26. The problem with visiting at the end of May is that the road will be closed. The average opening date is mid-June. How was it from the south? In terms of river crossings? We want to try that as well, maybe next year. Thanks, Hugo, for reminding me about the road condition and weather. In response to your question, I would not recommend the route from the south to Landmannalaugar from my own personal experience. The journey was at least 2.5hrs long from Seljalandsfoss location and there was nothing worth looking along the way. I recalled only the bumpy dusty road and maybe 1 or 2 river crossings. 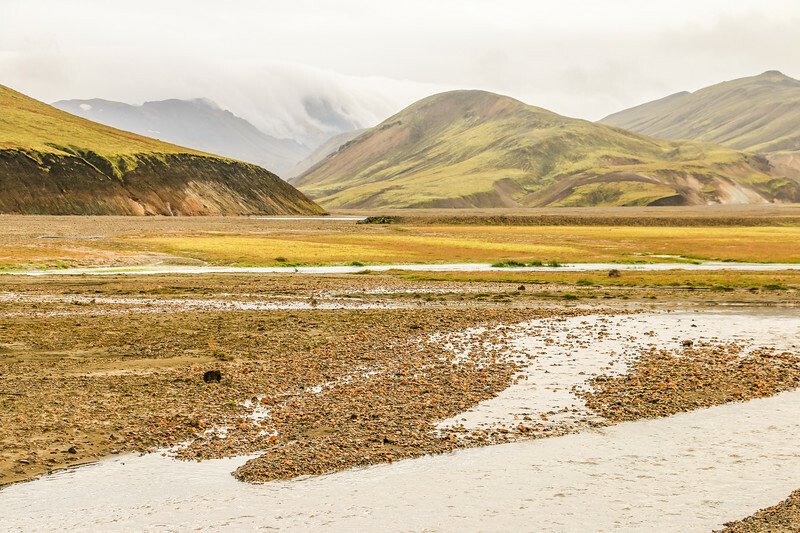 The whole journey was long and boring until our arrival at Landmannalaugar. I however highly recommend the journey to Thorsmork which was full of excitement and interesting diverse sceneries. There are quite a few river crossings and the last one Krossa river is very challenging and dangerous to cross. But I can assure you that the sceneries along the way are much more interesting. Having said that, I will never attempt to cross the last river without a superjeep and a skilled driver. Sorry, Hugo. I think I misunderstood you when you said visiting from Landmannalaugar from the north. I took it literally as from North Iceland. I remembered the route we took starting from Seljalandsfoss but it was not pretty for sure. In the near future, I will drive myself via the route you suggested knowing that there is no river crossing and plus the beautiful sceneries to be had. Thanks for sharing your travel with us. Keep more coming. Ah! From the north of Landmannalaugar! Road 208 is usually referred to as North or South depending where you coming from. So, it looks like you did part of that but also F225 approaching from the west and then joining 208 which starts a bit further north but not a lot. Yes, so this section of 208 has no river crossings. It’s a bit bumpy but well worth it! Heading to Thorsmork in June! Really looking forward to it. Taking the bus because of that crazy river crossing! 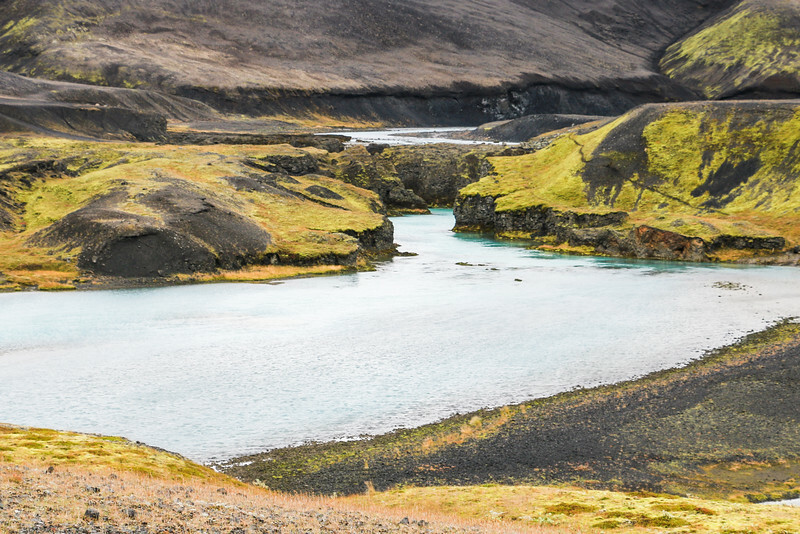 When you go to Thorsmork, make sure to hike Stakkholtsgjá canyon. It is the stop before Thorsmork. The canyon is out of this world beautiful. There are quite a few streams to cross; therefore, bring hiking sticks to help with balancing. Look forward to reading your trip report. Thanks for the tips, Candy! It took 3 trips to Iceland but finally going to Thorsmork. The canyon looks stunning! Can you post the map to Landmannalaugar.. From 208 that one with no river pls.. Thank you. Check this link: https://www.google.com/maps/d/edit?mid=zshFbKZ-117g.kaFIRq8GgVXA&usp=sharing. 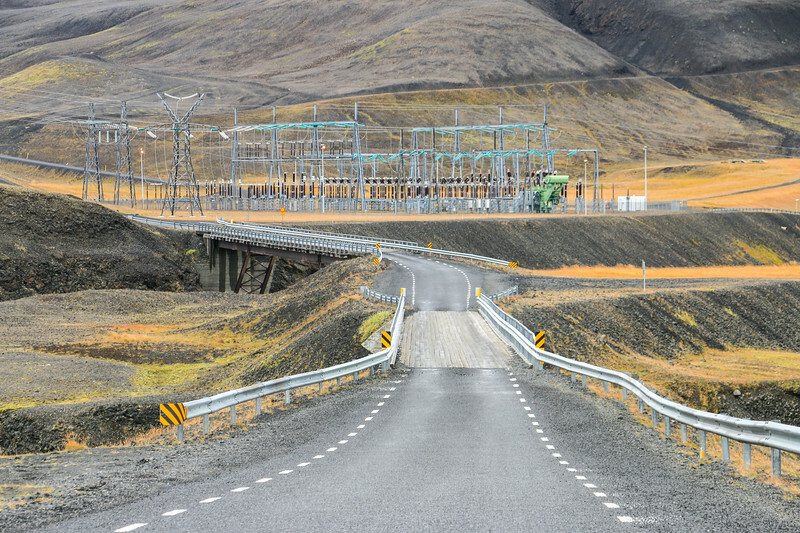 It includes directions from Reykjavík, using roads 1, 30, 32, 26, 208. 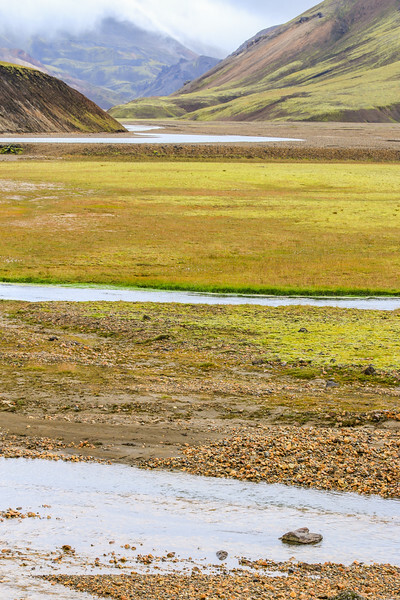 No rivers to cross except the small one just before Landmannalaugar’s camp. You can park before the crossing and walk for 5 minutes. There’s a wooden bridge. Hugo, i cant open the site that you give me i have to wait for my husband i forgot my password lol. 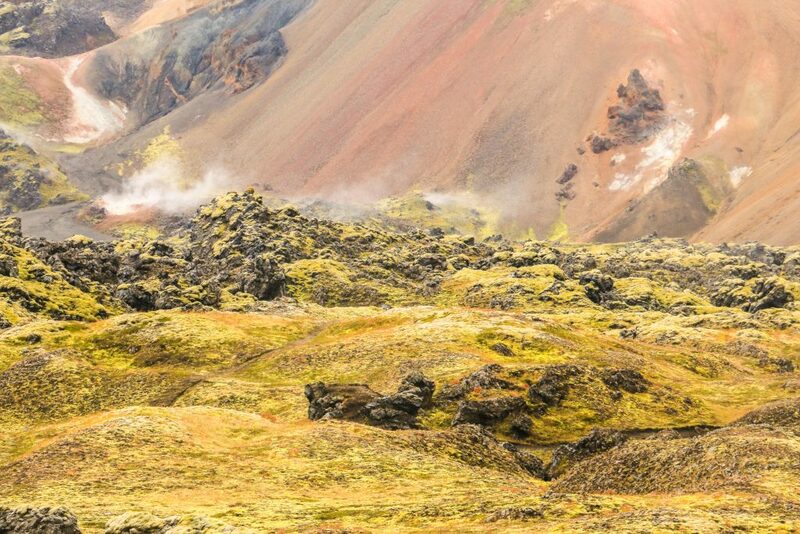 Anyway i was on the google map earlier and Ill start from Pjódvegur to Landmannalaugar which is near town Hella the map took me to Landmannaleió and if you try to look its all green its like shortcut to landmannalaugar if i will not turn i Will end up taking the f26 then f208 then f224 then the Landmannalaugar. And where is that geothermal that you guys pass?. Try again with this link: https://www.google.com/maps/d/viewer?mid=zshFbKZ-117g.kaFIRq8GgVXA. It should work now! That’s a shorter route but with rivers to cross. It’s all green but there’s a “road” there. More of a track for 4×4 only. I would advise against it and use 26, 208, 224 instead. 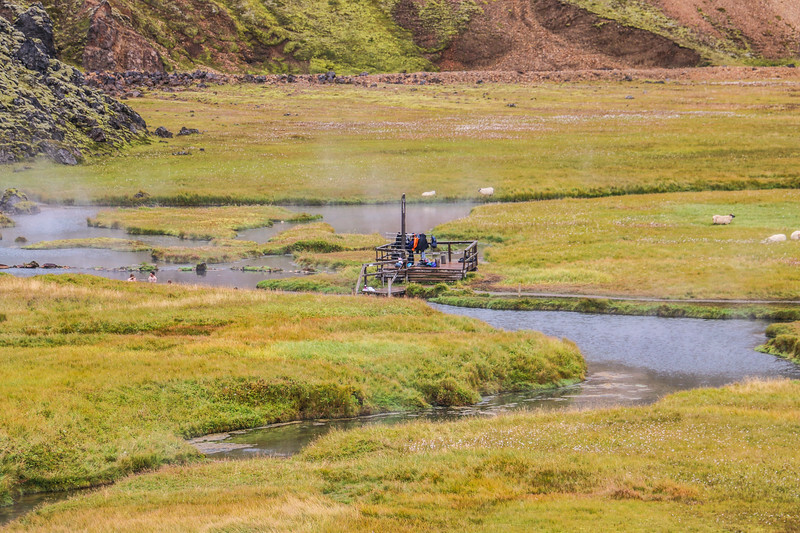 The geothermal pool is by the camp at Landmannalaugar. Alright i try to open the site thank you. I saw the map from Reykjavik looks like on the 32 lots of water of do i have to cross the bridge? Or its nearby We’re renting 4×4 dacia duster i hope thats enough to highland..
32 has bridges. No worries. Just follow the route on the map and you’ll be fine with the Dacia. 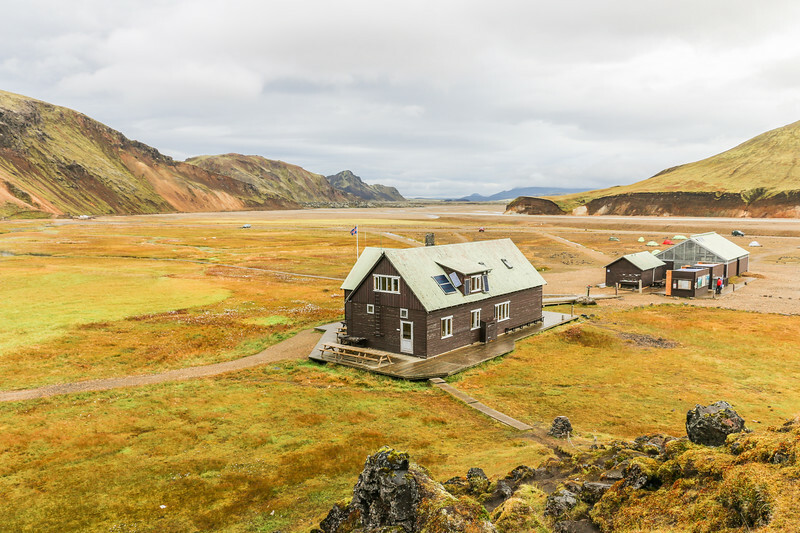 Which hike in Landmannalaugar would you recommend if we only have a day here? There are a few options. Drive to where the camping ground is and then check out the lava field just above it or the blue mountain. Maybe both! gorgeous photos!! … we are going to iceland soon (late october) so I think we’ll save this area for a summer trip 🙂 thanks for sharing.